Rep. Al Green says he'll again introduce a resolution to impeach President Donald Trump after he called African nations "shithole countries." Rep. Al Green of Texas says he's going to introduce another resolution next week to impeach President Donald Trump. It's not a first — he introduced a similar resolution last month. It was resoundingly rejected. Even a majority of Democrats voted to kill it, saying it's not the time to talk about impeachment. They cited Robert Mueller's investigation and congressional probes into the president as reasons to hold off. 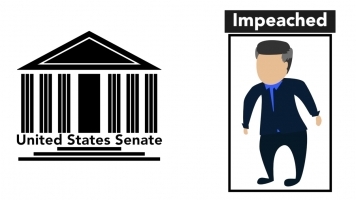 Impeachment is a big agenda item for Green. He started calling for it last summer and his House website even has a whole page dedicated to it. Last time around, Green cited the president's comments about white supremacists in Charlottesville, Virginia, and his retweeting of anti-Muslim propaganda as evidence he's unfit for office. In his announcement about the new resolution, Green alluded to reports the president referred to African nations as "shithole countries." California Rep. Maxine Waters also referred to that remark Friday when she called for Trump's impeachment. Also Friday, Reps. Jerry Nadler and Cedric Richmond announced they'll push to censure the president next week over his comments. Censure is basically a fancy form of condemnation.